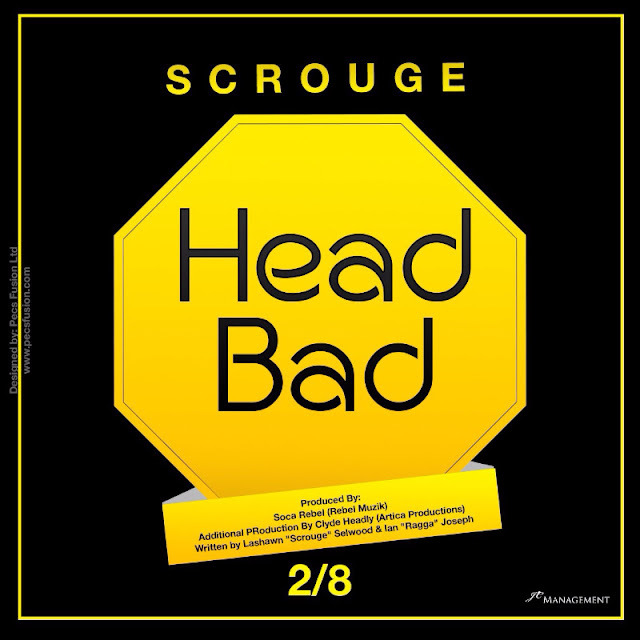 The US Virgin Islands' Soca Sensation Scrouge presents to you his Second of Eight singles off of his Octagon 8 Project entitled "HEAD BAD." Evoked by a one and one confrontation with RUM,Scrouge takes each listener on a first hand chain reaction of events that RUM instilled within his body. The color yellow produces a warming effect, arouses cheerfulness and stimulates mental activity which is in tandem with the lasting effects of any encounter with rum; the connection is the reason why this color was suited to represent he second release of this project. Scrouge teamed up with Trinidad's very own Ian "Ragga" Joseph to ink this Feter's Anthem. While Trinidad's Soca Rebel(Rebel Muzik) and Clyde Headly(Artica Productions) hook up in the engine room to produce this rhythmic masterpiece. Leo Sibilly III gave the track a smooth sensation with his breathtaking backgrounds. The track was mixed by Scrouge's US Virgin Islands Powerhouse Duo Leo3Sounds and 3P(Pam Pam Productions). And mastered by Trinidad's maestros of mastering Precision Productions.